Thanks for requesting your 21-step checklist – I hope it helps you confidently write leaflets that grow your business. 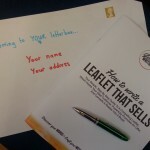 Want to DIY your own leaflet content with confidence? Leaflets can be an incredibly effective form of marketing – if you get them right. But it’s no good rushing up a few words onto a page and hoping for the best. Take that approach and your results will disappoint. It’s for this reason that I encourage you to spend time up front thinking about your leaflet’s message. And my How To Write A Leaflet That Sells kit can do just that. This comprehensive, DIY leaflet kit costs just £35 (+£3 P&P). With this small investment you could save endless hours of hard work and an untold amount of wasted marketing budget. You can grab your printed copy NOW via PayPal. Just click the button below and I’ll post one to your address by first class post. P.S. Here’s another freebie to thank you for downloading the leaflet checklist. 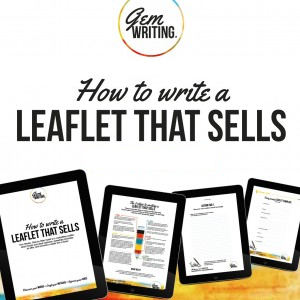 To download my leaflet infographic, which reveals the 8 essential components of a highly effective leaflet, just CLICK HERE.